PertWeek: Ten From Three | Warped Factor - Words in the Key of Geek. Dr. Moo selects his top ten Jon Pertwee serials. 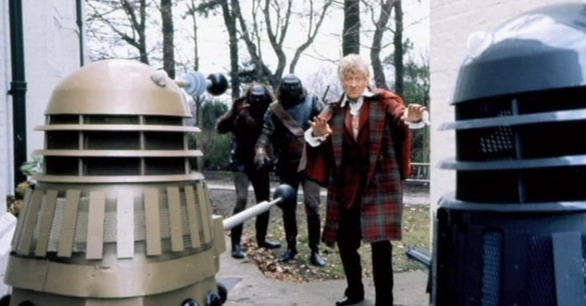 Jon Pertwee played the Third Doctor in Doctor Who. But you knew that. He had a lot to prove going in. Then known only for comedy, could he handle a serious acting role? It turns out that he could. There’s a reason why he’s a firm fan-favourite! The original fan service storyline, The Three Doctors has Jon Pertwee team up with Patrick Troughton and William Hartnell to defeat the evil rogue Time Lord Omega in an antimatter universe. Seeing multiple incarnations of the Doctor come together to defeat a common enemy was unheard of at the time and the stuff fans’ dreams were made of. While the ill health of Hartnell, in his final acting role, means he is sidelined, it’s still nice to see him. Meanwhile it’s left to Troughton and Pertwee to carry the story, which they do with great ease. They’re both having fun, and when they have fun so do we. 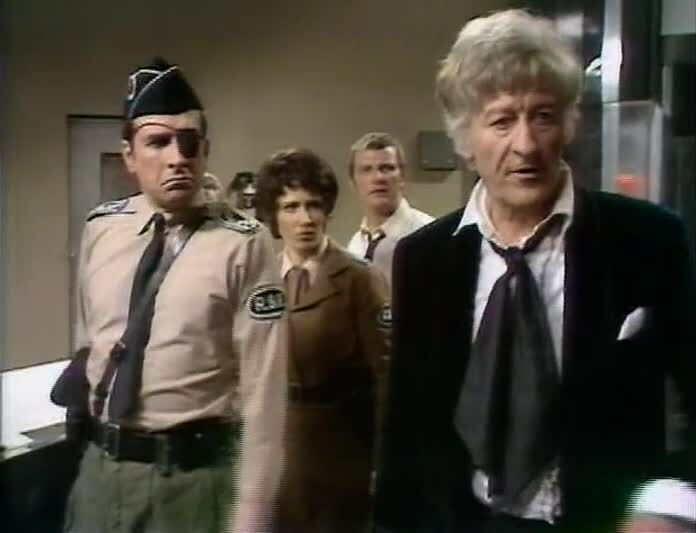 This was the first time a regeneration story actually meant something, and as such Planet of the Spiders plays out as a celebration of the Jon Pertwee era with its strong Buddhist themes, not entirely convincing monsters, another Time Lord and lots and lots of action. The regenration itself will bring a tear to the eye. Nope. Try a whole ocean of them! But the Third Doctor, true to form, goes down fighting and we wouldn’t have him bow out in any other way! This story is let down by the laughably bad effects for the dinosaurs that give it its title. 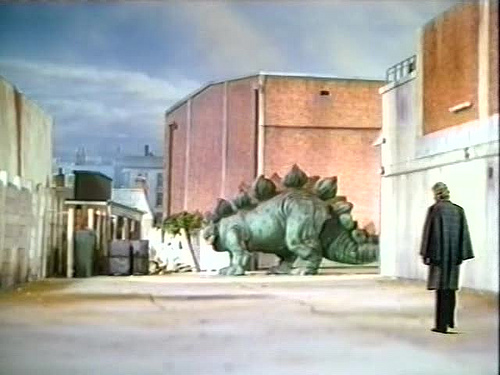 However the dinosaurs are but a subplot to a much larger story. Invasion of the Dinosaurs really tells the story of Operation Golden Age, a top-secret project that threatens to wipe out all life on the planet and start afresh. Filled with high adrenaline action sequences, shocking twists and political intrigue, this is The Pertwee Years in a nutshell. 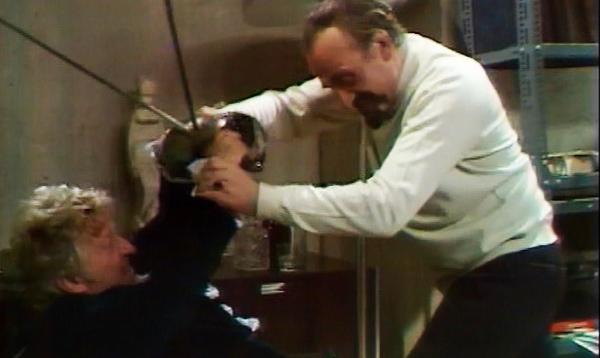 If there’s a single story that emphasises how wonderful the Doctor/Master dynamic between Jon Pertwee and Roger Delgado truly was then The Sea Devils is that story. 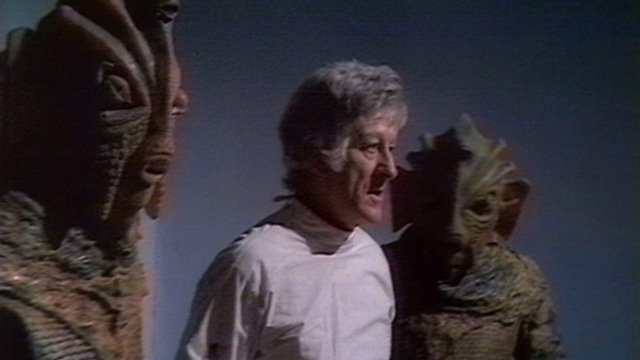 It sees the Master attempting to revive the Sea Devils from hibernation and it’s up to the Doctor and Jo to stop him. 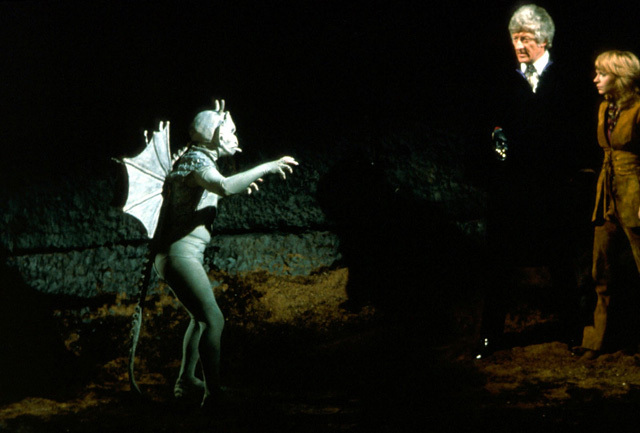 The interactions between Pertwee and Delgado are, as I said, the highlight here (never moreso than their swordfight) but the Sea Devils themselves are a great villainous race as well, one that need to make a comeback in Revived Who – the recent Twelfth Doctor comic strip is a start but I want them on screen! A good villain to use in your final season, Mr Moffat? A good way to make your mark, Mr Chibnall? Can one or both of you please get this done! This story sees the return of the Autons, the debut of Jo Grant, the debut of Benton and, most importantly of all, the debut of Roger Delgado as the Master. That alone makes it a must-see; the fact that Terror of the Autons itself is good is a bonus. The plot sees the Master allying himself with the Autons to conquer the world as the Doctor tries to stop him. The thing that makes the story stand out, besides the Master, has got to be the scariness of the whole thing. Before Moffat made making the mundane scary his trademark, Robert Holmes was doing it first. Here he makes you scared of armchairs, troll dolls and, er, daffodils. This is one of those stories that sends the kids behind the sofa and gets the eighth season off to a great start. “THE DALEKS IN COLOUR!” screamed the BBC Publicity Department. Beyond that, there’s no real reason why the villains are Daleks, but who care because the story’s great. The Doctor gets transported to the future where the Daleks have conquered the world after WWIII, which began when peace talks broke down in the present. He has to get back to the present in time to get the diplomats together for the peace conference or else the stage will be set for the Daleks. The Day of the Daleks plays about with the consequences of time travel in a very “timey-wimey” way and as a result it’s a great story. Jon Pertwee at his 007 action hero best, Nick Courtney gets to lead UNIT troops into battle, the Dalek's sound ridiculous… what’s not to love? 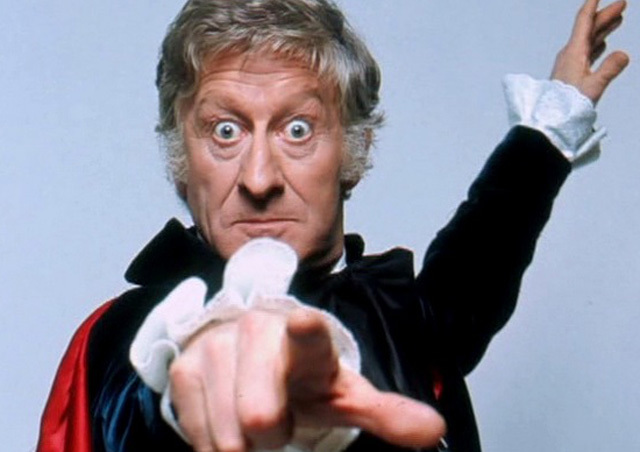 Who on Earth is Jon Pertwee? It’s time to find out! 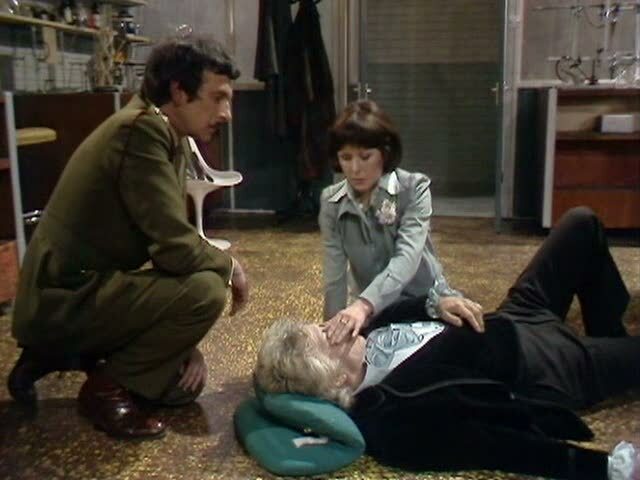 We meet a new Doctor, we meet Liz Shaw and we are reunited with the Brig. 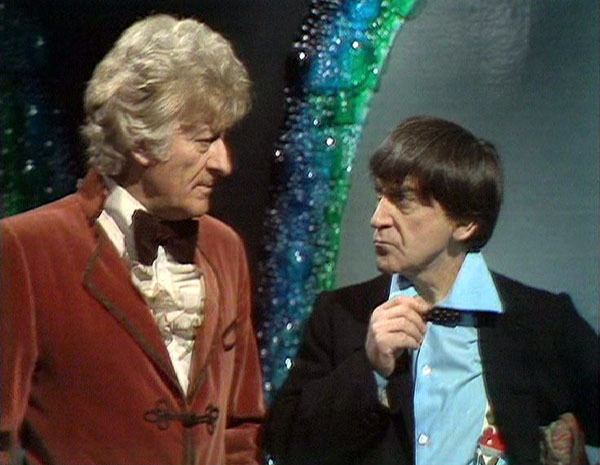 We have the Doctor trying to convince the Brig that he’s still the little fellow with the Beatles-inspired haircut who helped him fight the Great Intelligence and the Cybermen. We have the iconic and scary scene of the Autons walking down the street and killing everyone they meet. We have the Nestene Consciousness make its debut. The fact that this story so heavily inspired 2005’s ‘Rose’ is telling. If I ever try to start someone on watching the Classics then there’s no question about it, I always start them here. 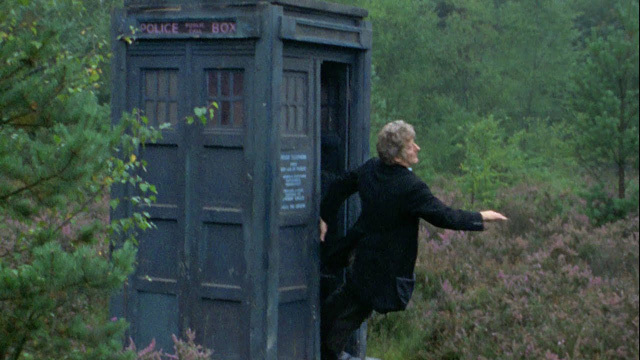 The ending to Pertwee’s debut season brings in everything from the season that had worked and puts it all together. We have mad scientists, monsters, a research base, UNIT soldiers and lots of high adrenaline action set-pieces. The story is simple enough: there’s a drill that seeks to tap into a powerful energy resource but doing so has the potential to destroy the world. The Doctor knows this and is trying to stop the project. Then the twist comes when he ends up trapped in a parallel world where Britain is a fascist dictatorship. All his friends are there but the Brig is a coward with an eyepatch and no mustache, Liz is not a scientist, Benton is an unpleasant git. And all of them are the Doctor’s enemies. As the Doctor tries to stop this world being destroyed we see something rare and unique as he ultimately fails to save that universe and the consequences of his failure are shown, upping the tension for “our” world in the process for an extremely tense final episode. Inferno is far and away my favourite Jon Pertwee story, and even my favourite of the entire classic 1963-96 run. So those are my top ten Third Doctor stories. Agree, disagree? What are yours? When he's not obsessing about Doctor Who whilst having I Am The Doctor play in his head, Dr. Moo can usually be found reading up on the latest in Quantum Physics. As you do when you're a physicist. SUPERMAN: Whatever Happened To Young Kal-El?